NO SALES OF BOTTLED WATER/DRINKS, or KITES WILL BE PERMITTED. They will be exclusive to the Knights of Columbus and organizers of event. NO KITE Vendor Applications will be accepted for this event. All vendors encouraged to donate a raffle prize and will be mentioned and thanked from stage. It is mandatory to include self-addressed stamped ($.49) envelope for return correspondence. If your application is accepted; we will call you to confirm your participation within 2 weeks of receiving application. You will only be allowed sell approved items from your list and cannot add other items! All activity is restricted to your booth. Wandering sales or distribution of flyers will not be permitted. Booths are assigned and accepted per guidelines set forth by Knights of Columbus. Please do not ask for any exceptions! The Knights of Columbus reserves the right to refuse any vendor. Bring your own tables, chairs, and Canopies etc. They will not be provided for you. Keep and leave your booth and surrounding areas clean. You MUST provide a trash container both inside and outside your booth. All booths must be anchored down, vendor will be held responsible for any damage caused by unanchored booths. For booths on asphalt bring appropriate weights. Items which use our guests as entertainment will not be allowed. These items include but are not limited to; weapons, AIR SOFT GUNS, silly string, disappearing ink, and poppers. NO PETS or ICE CHESTS WILL BE ALLOWED IN FESTIVAL. VENDOR ICE CHEST WILL BE SUBJECT TO INSPECTIONS. Periodic inspections of booths and ice chests may be done. Numerous Vendor duplications may be limited. Booth spaces will be accepted on a “first come, first serve” basis. Set-up is to take place Sunday April 7, between 7:00am and 8:00am. (If you are not ready by 8:30 am deposit may be forfeited). For Safety, No vehicles will be allowed in the park between 8:30am and 4pm (during the event). (If leave early, you will have to carry your items to your vehicle and deposit will be forfeited). Food Vendors must submit Merced County Health Permit Application along Merced county fee and this application to Knights of Columbus. (Separate check for $90 must be made to Merced County Health Department). 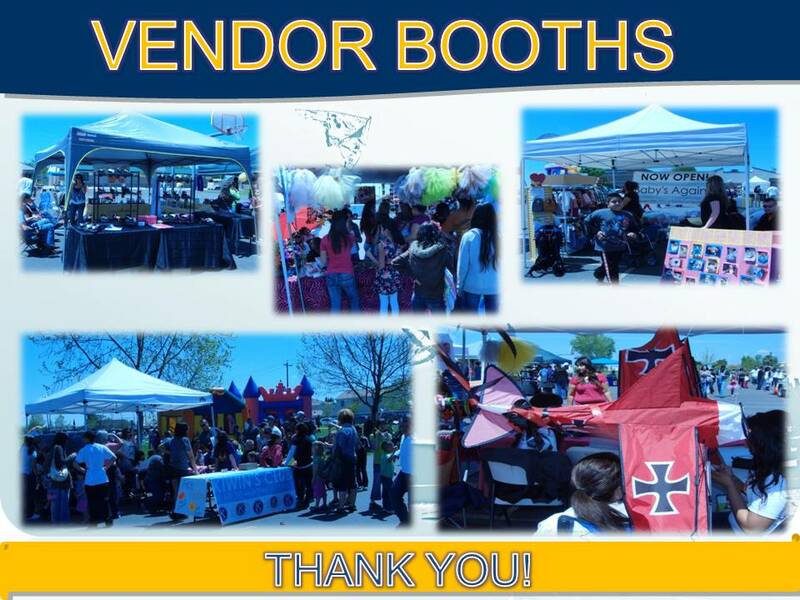 Food Vendor Applications must be submitted by March 22, 2019. NO EXCEPTIONS. Non-Food vendor applications must be submitted by March 23, any application received after March 23, will be charged an additional $50 fee. All Food Vendors must provide liability insurance. Naming City of Livingston, Livingston Union School District, and Knights of Columbus 9363 as additional insured. (Please call for additional details). See application for Vendor Booth Fees. We reserve the right to refuse any vendors. Make Checks Payable to: Knights of Columbus 9363, P.O. BOX 777 Livingston, CA 95334.